I have only tried to [url=http://www.rasteredge.com/how-to/csharp-imaging/barcode-reading-qrcode/]decode QR codes[/url] using another tool, I wonder the differences between them. there must be some difference when you are decode qr code or other barcodes with these two tools. why not you try it and find the difference. 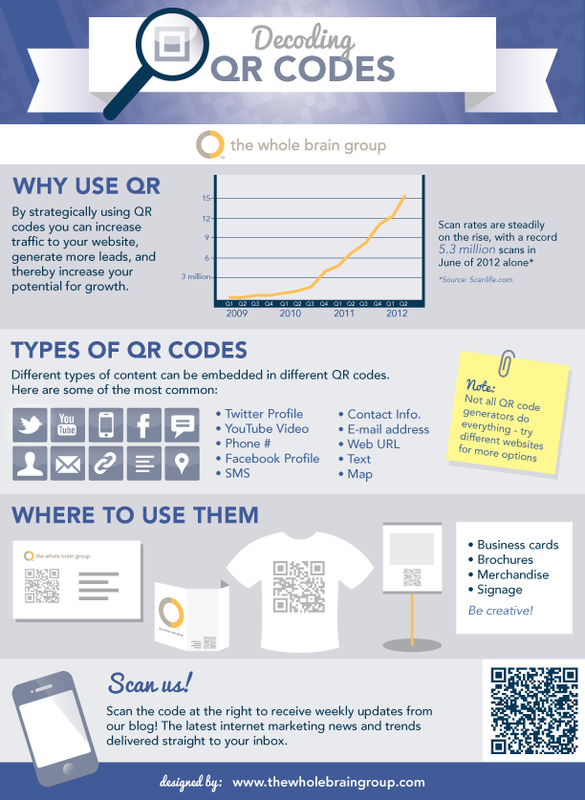 Nice infographic, it shows the common usage of QR Code. What i tried before is to use free QR Code decoder to scan QR Code image on a birthday cake and my name displays on my smartphone. It’s cool, right.